I hate details. I am definitely a “big picture” guy. For this reason and others, I find moving to be very stressful. And today was the worst kind of moving day – heavy furniture, lots of loading and unloading, heavy traffic, multiple stops, etc. To make matters worse, things kept going wrong. We couldn’t squeeze the couch through our back door. I didn’t have the right wiring adaptor for picking up my Uhaul trailer, so I had to get it installed (and got over-charged big time). Then I got caught in heavy traffic for an hour on the interstate with my air conditioning not working. As one thing after another kept violating my plan for an efficient and relatively painless day, I began to get frustrated. After frustration came anger, and after anger came self-condemnation (“why can’t I ever do anything right?”). I went up the ladder of emotions to what is, for me, the very worst: feeling stupid and invalidated. In the midst of this, while standing still on the interstate sweating like crazy because of no AC and no wind, I stopped and thought about C.J. Mahaney’s book on humility, which I recently read, and some of the advice it had about noticing evidences of God’s grace around us and cultivating gratitude in the midst of hard circumstances. By the grace of God, I was reminded that he was with me, using these circumstances to humble me, and at the same time kindly taking care of me. I thought of the guy who had installed my wiring, and where I would be if he had called in sick today. I thought of the random stranger who bought our couch via Craigslist who labored with me to get it to his truck. I thought of our friend Becky who, out of the goodness of her heart, helped Esther with packing the entire afternoon. I thought about my friend Jason who spent almost an hour on the phone with me trying to figure out the wiring in my car, despite being busy with a new job. I thought about my wife, who puts up with me when I am grumpy and works cheerfully and faithfully alongside me. The evidence for God’s grace is all around me. Instead of growing resentful for some (in the big scheme of things) minor difficulties, I could instead allow myself to be humbled and reminded of how good God has been to me. I have it so much better than I deserve. And I have so much to be grateful for. Oh, that does sound stressful! 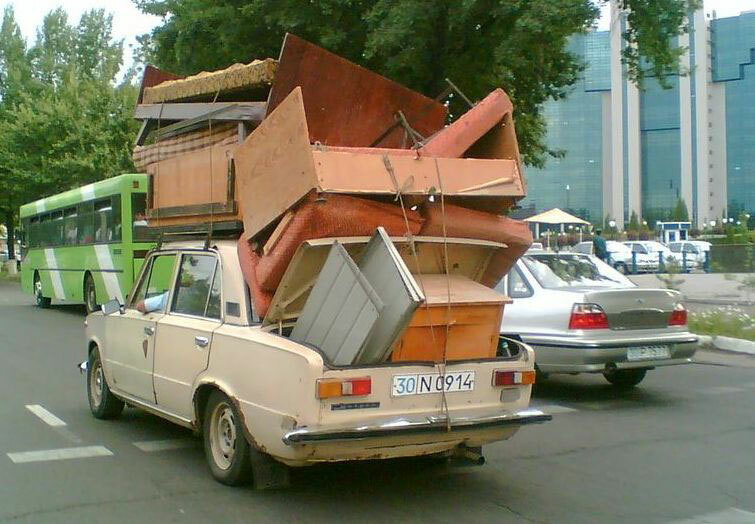 We had some glitches like that when we moved away from Chicago–late UHaul, wrong size, etc! You’re right–it is so helpful in situations like that, and every day, just to give thanks! Good reminder, thanks. Thanks for the encouraging words brother. This hits close to home…especially, right now.